Join us in our aim to reduce the number of ‘tubes’ we use by 10% this year – Details on our Trash The Tubes page. Making it Safer Together (MiST) – The Dublin Experience! 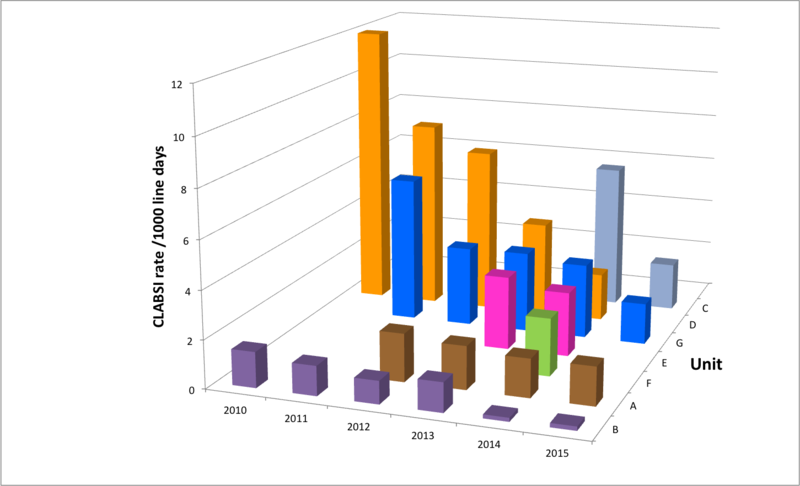 Continuation of Readmissions or alternative measures? “Stealing shamelessly” – the implementation of safety initiatives; what has worked, what has failed, sharing, learning and shamelessly stealing from each other to better patient care! “Making it Stick” – once safety initiatives are introduced, how do we make them sticky! Please see the Care Bundles area for details of what collaboration members are doing to reduce avoidable harm. Improving outcomes and reducing the incidence of deterioration in the acutely ill infant, child or young. 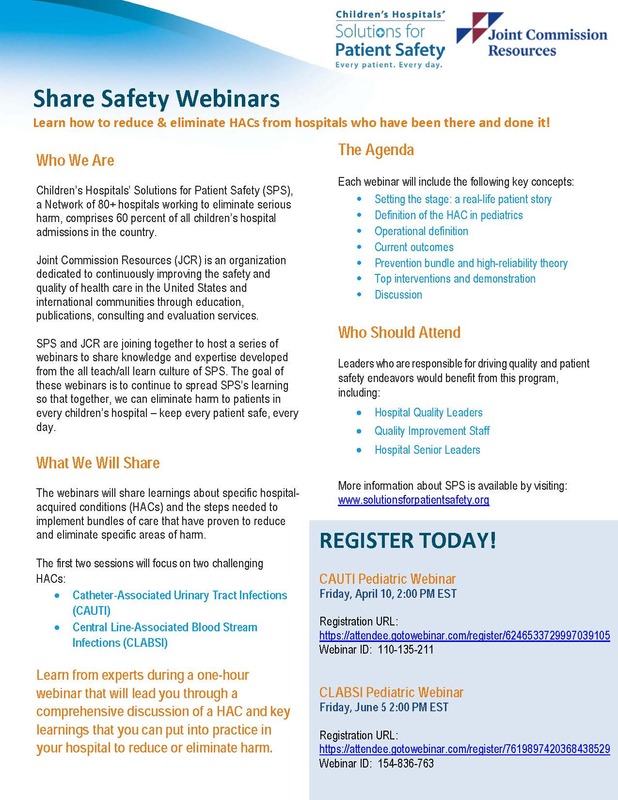 SPS and Joint Commission Resources (JCR) have joined together to host a series of webinars to share knowledge and expertise developed from SPS. The webinars will share learnings about HACs and the steps needed to implement bundles of care. The sessions are open to all – including Hospital Quality Leaders, QI Staff, Hospital Senior Leaders.